Gregg Steinhafel will step down as President, CEO, and Chairman of the Board, effective today. Remember that Target credit card kerfuffle last year, when hackers made off with 40 million credit card numbers? The aftermath of that disaster is still rolling, and Target's CEO is resigning because of it. Effective today, Target CEO Gregg Steinhafel will step down from his leadership roles in the company, which also include President and Chairman of the Board. He will stay on as an adviser for the next several months. "The board is deeply grateful to Gregg for his significant contributions and outstanding service throughout his notable 35-year career with the company," said Target in a press release today. "We believe his passion for the team and relentless focus on the guest have established Target as a leader in the retail industry. Gregg has created a culture that fosters innovation and supports the development of new ideas. Under his leadership, the company has not only enhanced its ability to execute, but has broadened its strategic horizons." 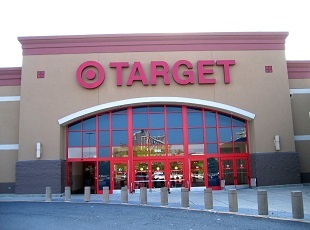 In the interim, Target CFO John Mulligan will serve as CEO, while board member Roxanne S. Austin will serve as the non-Executive Chairwomen. Steinhafer's letter of resignation can be found here.